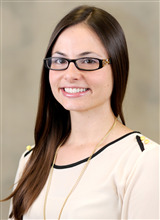 Dr. Antonia Carbone joined the School of Pharmacy in September 2013. As Clinical Assistant Professor of Pharmacy Practice, Dr. Carbone serves as a preceptor to students during their experiential rotations in Ambulatory Care pharmacy practice and assist with teaching at the School of Pharmacy. Dr. Carbone’s practice site is located at Overlook Medical Center’s Family Medicine Clinic. Dr. Carbone received her Doctorate of Pharmacy from Rutgers University, Ernest Mario School of Pharmacy and completed her post graduate, ASHP accredited pharmacy practice residency at Barnabas Behavioral Health in Toms River, New Jersey. After her training, she gained clinical and management experience at Barnabas Health and became a board certified pharmacotherapy specialist in 2012. Dr. Carbone enjoys mentoring students so that they are able to optimize patient outcomes by providing evidence-based medication therapy management services.